On the table in less than 20 minutes - check! A few simple ingredients - check! Easy to make - check! Delicious beyond belief - double check! Seriously, this was soooo good and soooo easy. I simply took a pork tenderloin that I picked up from the butcher at Bristol Farms, sliced it into medallions, seasoned them, and then sauteed them. 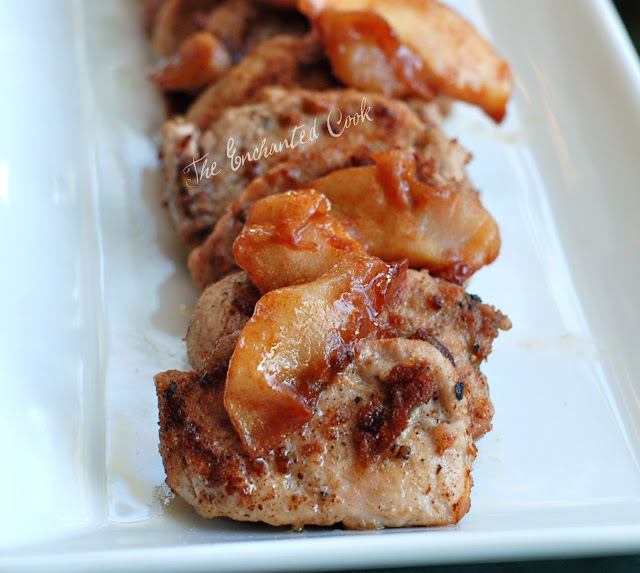 Meanwhile, I slow cooked Granny Smith apple slices in butter, brown sugar and cinnamon until they were soft. That's it! Done! I have to tell you that these little pork medallions were the most tender pork I think I've ever had. They just fell apart as I took a bite, much like a tender piece of pot roast does. I should have taken a photo of the tenderloin before I cut it up but didn't. It was about 2 1/2 - 3 inches in diameter, so it was rather small, and perfect for making these medallions. 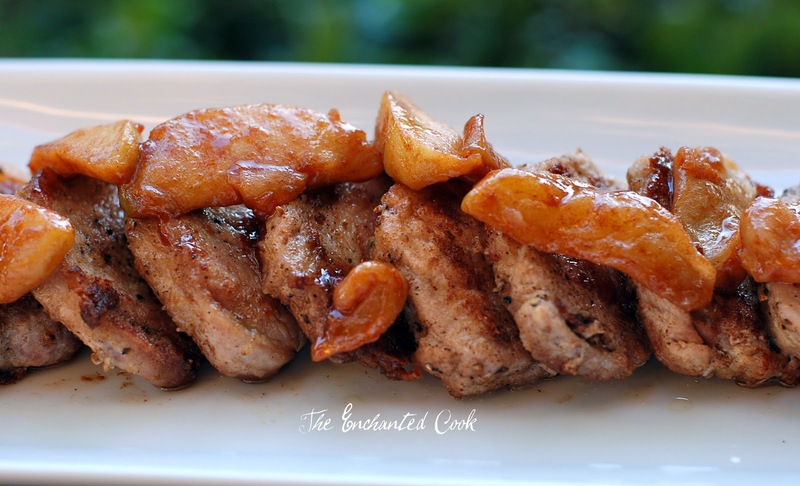 The cinnamony and slightly sweet apples were amazing atop the perfectly-seasoned, tender, and juicy pork medallions. Heat small saucepan to medium heat and melt butter. Next add apple slices, brown sugar or honey, and cinnamon to pan and stir to coat. Reduce heat to low and stir occasionally until apple slices are soft, approximately 10 minutes. Heat a cast-iron skillet to medium-high and add ghee or butter. Season both sides of pork medallions with oregano, thyme, rosemary and salt. 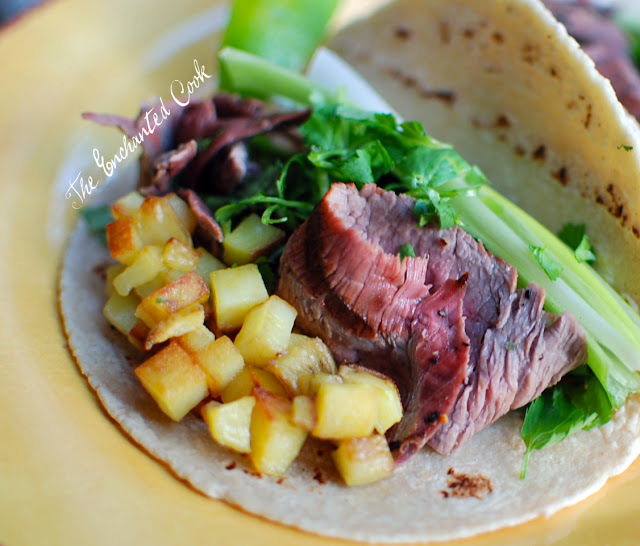 Place seasoned medallions in hot skillet and cook until lightly browned, approximately 3-4 minutes, then turn and lightly brown other side, about another 3-4 minutes. Serve medallions topped with apple compote. Ready to eat with apple compote on top...YUM!! Q&A, a Blog Award, and Only Two More Days to Enter the Giveaway! Time for a little Q&A compliments of Wendy at The Weekend Gourmet and Lindsey at Gingerbread Bagels! If you haven't been to their blogs, I hope you'll take a moment and stop by to say hi! Wendy is in Texas and seems to have an eclectic taste in foods just like me. I'm dying to try her Chicken Curry with Cashews. And Lindsey from Oregon is always tempting me with her tantalizing desserts and amazing baking skillllzzz! Check out her homemade Peanut Butter and Jelly Filled Donuts! Now on to the Q&A...they each asked me to answer 8 questions and then pass on to 7 other bloggers and ask them to do the same. This is such a fun game of tag and a great way to get to know more about everyone. If you could invite any three people (living or not) to a dinner party at your house, who would you invite…and why? Ina Garten, Aarti Sequeria, and Ree Drummond...probably sounds soooo predictable but these are my favorite food goddesses and I would love to hang with them, have a cocktail, share some cooking stories and hopefully a lot of laughs. What would be on the dinner menu at this meal? My favorite cocktail - The Rangpur Gimlet! Last I'd serve Ina's Lemon Meringue Pie! 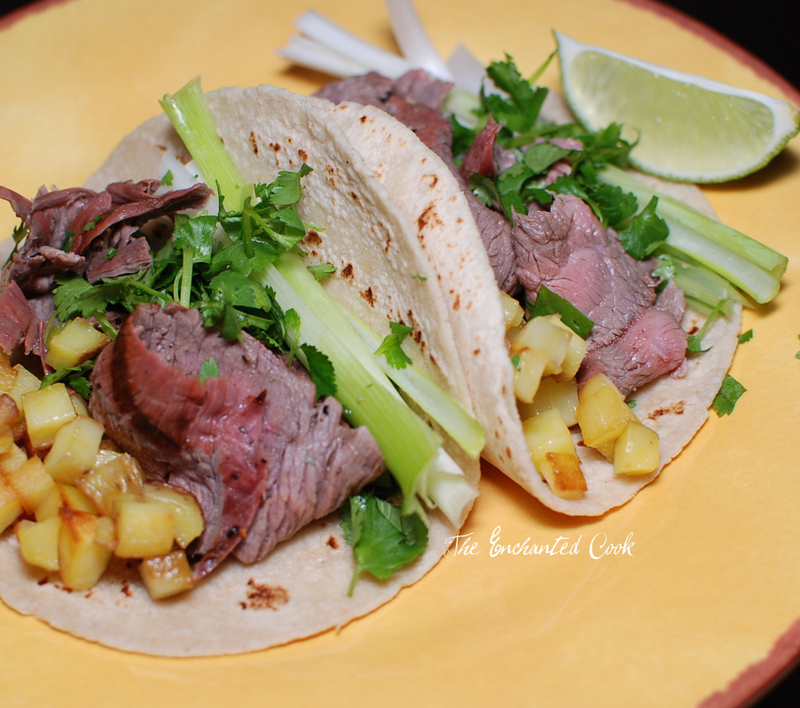 Do you create iTunes playlists to set the mood when you have people for dinner? If so, tell me what songs you especially like. I do this and am always looking for new additions! I'm so bad at this! I love music but when I go to iTunes, I can suddenly never remember the names of any songs nor who sings them! What are your three “go to ingredients” that are always on hand in your kitchen? Definitely garlic, my collection of O Olive Oil vinegars, and an assortment of approximately 20 different cheeses (not even kidding). What’s your funniest kitchen/cooking disaster? This is not a cooking disaster but it does have something to do with food and it was a disaster. One time years ago, I was responsible for arranging dinner reservations for a work function involving out of town business associates. I kept calling a certain restaurant that we occasionally ate at to make reservations but no one would answer. Since we were going to be there on an off night I figured they'd be able to seat us and went ahead and just showed up. We had two carloads full of people after a long day of meetings ready for a nice business dinner and when we pulled up we saw the restaurant had gone out of business! What’s your favorite kitchen/cooking success? The first time I baked a loaf of bread from scratch. If you could be sous-chef-for-a-day for any chef, who would it be…and why? I would love to be Ina's sous-chef-for-a-day! I admire her style so much, her meals are so well put together, and she makes it all seem effortless. I have learned a lot from her from watching her show and reading her cookbooks. If I could shadow her for a day - there's no telling how much better I could be! Soft boiled eggs that my grandmother used to make us for lunch when we were very little. Taking my kids to McDonald's waaaaay too many times when they were little! That's easy - I already live here (Southern California)! How many languages can you speak and what are they? What chef do you admire the most? I admire Aarti Sequeria. She's down to earth, a very creative chef, and has a kind soul. What's your favorite recipe from another blog? There are simply too many favorites for me to pick just one..sorry! What food blogger would you like to meet and why? There are so many food bloggers that I admire. I'm constantly impressed, amazed, wowed, awed, and inspired by the food bloggers I've come to know and love, many of which are listed in my sidebar and below. If I could only pick one, though, it would be Ree Drummond. This is kind of cheating because I did get to meet her at an event not too long ago, but I'd really like to have a re-do now that I've come to know her blog much better and have a much deeper appreciation for the incredible, amazing, and dynamic woman she is. 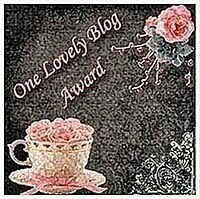 I would also love to thank Carolyn at All Day I Dream About Food for giving me the sweetest award called the One Lovely Blog Award. Carolyn has a great blog with lots of healthy recipes - many of which are low carb and/or gluten-free. In fact, if her Chocolate-Glazed Mocha Shortbread doesn't look delicious, I don't know what does! Thank you so much Carolyn! Hmmm... what to say about this salmon recipe... to tell you the truth, I'm kinda on the fence about it. When I read the recipe in this month's Bon Appetit Magazine (November 2010), I thought it sounded pretty darn good. 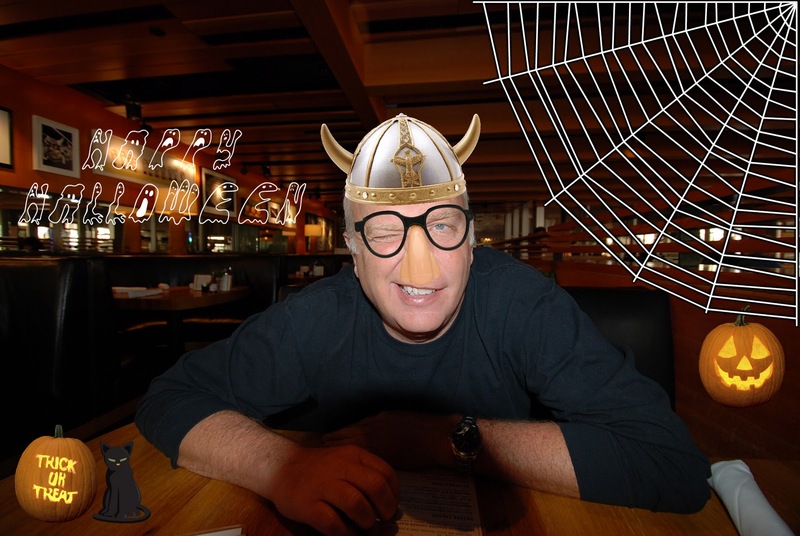 After making it, I'm just not sure. It was definitely different. I think I was just expecting a lot more flavor. If I made it again, I'd probably use lemon juice instead of lime to give it more zing and probably crust the salmon a lot heavier than I did. The yogurt sauce was definitely good (once I added salt to it), as evidenced by the rather oversized dollop I chose to plop on top. In small bowl mix all ingredients together and refrigerate until ready to serve. 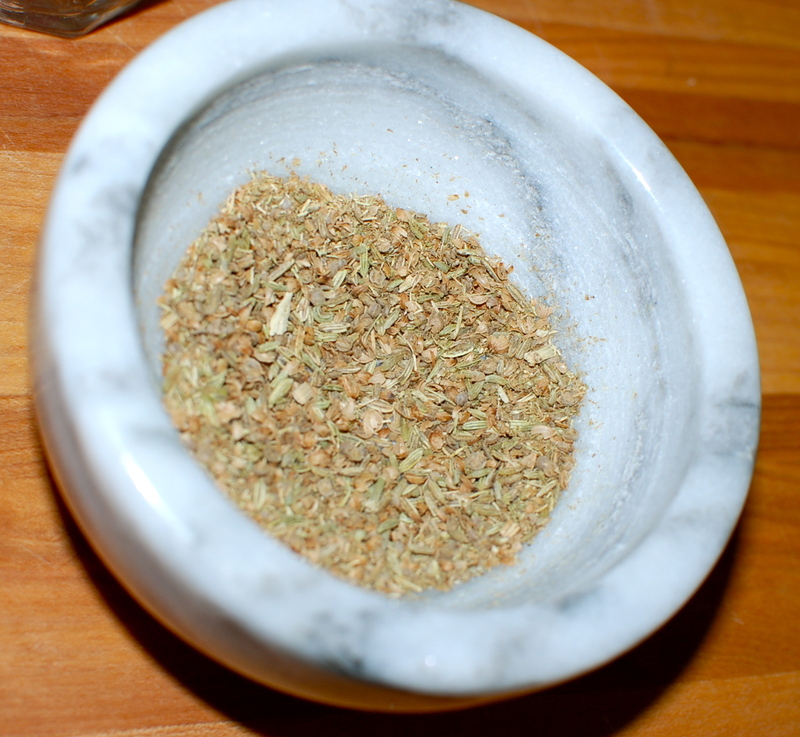 Crush fennel and coriander seeds using a mortar and pestle, or place them in a heavy duty plastic bag and crush using a mallet or a can. Heat non-stick skillet over medium-high heat and add oil. Next add salmon to skillet crusted side down (skin side up). Cook for about 2-3 minutes per side, until opaque in center. Squeeze lime or lemon juice over salmon. 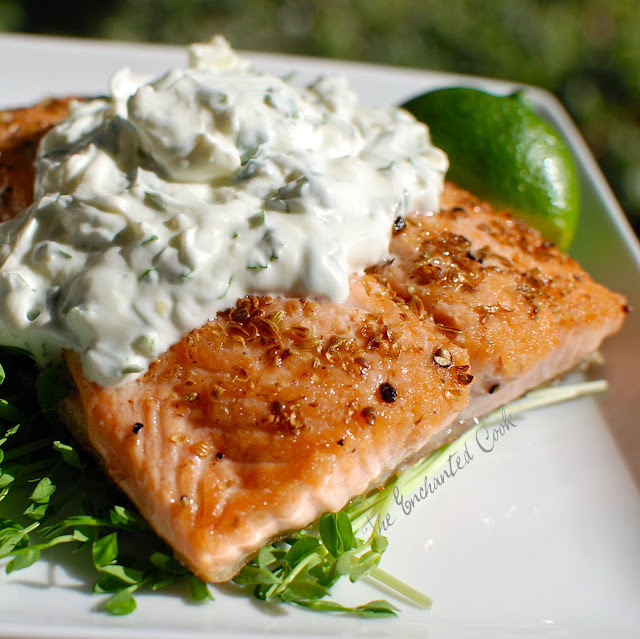 Serve with a dollop of yogurt sauce on top. PS - the skin is edible although I did not choose to eat it. 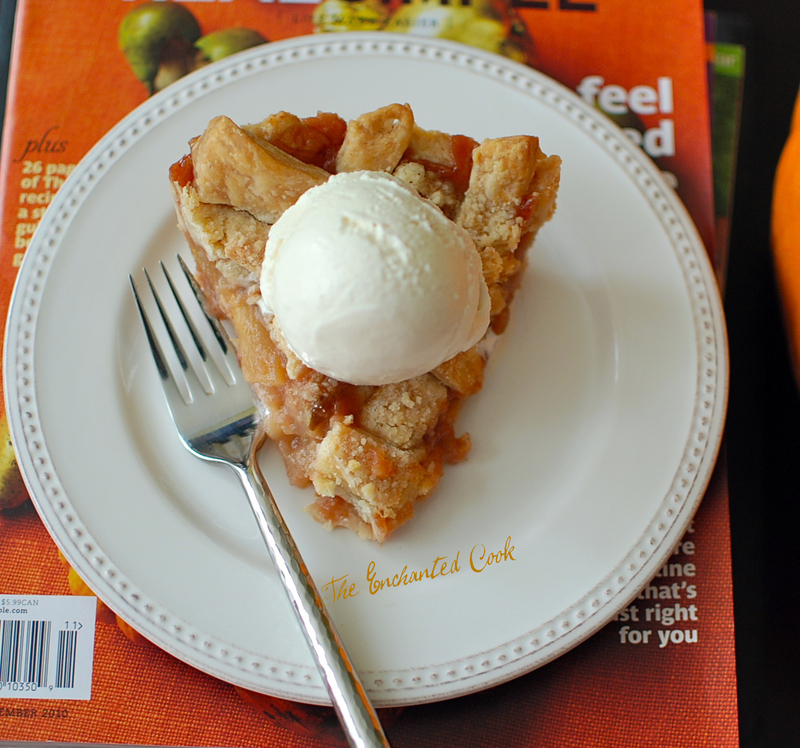 Paula Deen makes a mean apple pie, y'all. And by "mean", I mean scrumptious. On Sunday I made her Crunch Top Apple Pie currently featured on Food Network's home page and I enjoyed it for 3 days straight. Why just yesterday morning, I went to the fridge to see what I could have for breakfast and there it was... a piece that I had sliced and only eaten half of. So, I just picked it up and ate it while standing right there. It was even great ice cold. I did stop short of picking up the milk container and drinking straight from the carton, though... or at least that's the story I'm sticking to. Paula suggests using whatever crust you prefer - whether store bought or made yourself. I opted to use this double pie crust recipe by Lapadia. Since Lapadia's Himalayan Blackberry Pie is a Food 52 Editor's Pick and will be in the next edition of the cookbook, Amanda and Merrill even created a slide show to show how they made it. This pie crust was not only simple to make using my food processor, but it was flaky, delicious and easy to work with, even with my unskilled-at-crust-making hands. The crunch topping was great even though I felt mine wasn't as crumbly as I thought it should be. Place butter, flour and salt in food processor and pulse lightly until the mixture starts to resemble wet looking sand. Next add the cold water 1 Tablespoon at a time, pulsing in between, and keep adding water and pulsing until dough just starts to come together. It took 8 Tablespoons for me. Remove dough from food processor and split in half. Pat each into a small disk and place in plastic wrap or plastic bags and refrigerate for at least 30 minutes. While your dough is chilling, you can proceed to make your filling. After 3o minutes, remove disks from refrigerator. Place the first disk on a floured surface and roll out until it is large enough to fit your pie plate. Fit to your pie plate and trim edges. Roll out other disk, then cut into long strips that you will use to form a lattice pattern across the top of your pie. Please note, the recipe I chose for my crust happened to be for a 10-inch size pie, but Paula's recipe is for a 9-inch pie, so you'll have a little dough left over. Never a bad thing in my book. I like to sprinkle a little sugar on the dough scraps and bake them at the same time as the pie for a little extra treat. In large bowl mix sugar, flour, cinnamon, and salt. Next stir in apple slices, applesauce, and lemon juice. Spoon apple mixture into dough lined pie plate and dot with pieces of butter. Arrange strips of dough on top of pie in a lattice pattern (weaved), or just lay them across each other. Mix all topping ingredients together using a fork until mixture is crumbly. Sprinkle mixture evenly across top of pie. Next reduce oven heat to 350 degrees F and continue to bake for 45 minutes or until crust and topping are golden brown. For some reason it took 85 minutes for my crust to properly brown. I kept checking it at 5 minute intervals but didn't want to remove it until my crust was brown. The pie came out fantastic despite taking much longer than planned. 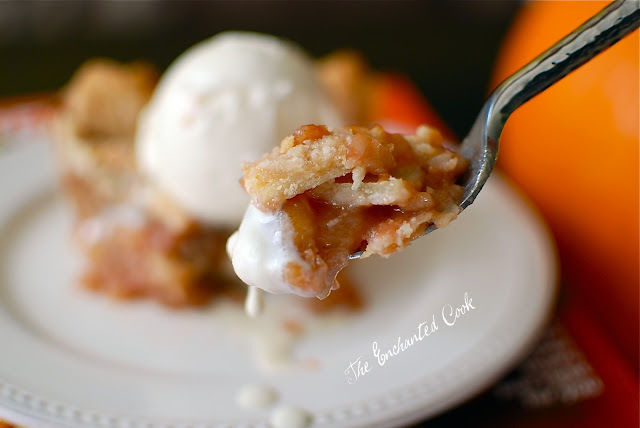 When pie has cooled, serve warm with a scoop of vanilla ice cream or serve cold straight from the refrigerator with a big "glass" of ice cold milk. Look at that buttery, flaky crust! Topped with vanilla ice cream, this pie was soooo good!